As highly as Jochen Miller is regarded for his unrelenting ability to stay on the pulse of electronic music, the Dutch DJ and producer adopted a particular style early on in his career. In evolving with and integrating his own translation of “dance music”, Miller has channeled a sound that dabbles in the tech, trance, and progressive soundscapes since his humble beginnings under the alias, DJ Jochen. What lay the foundation as a hobby in his teens quickly snowballed into a fruitful career that has landed Miller time slots at grandiose festivals such as Ultra, Tomorrowland, and Electric Daisy Carnival, to name a few. Jochen’s passion for dance music is deeply rooted in his father, who owned a discotheque that exposed him to the genre at a young age. The budding producer made his mark at the age of 16 when he became the club’s “resident DJ”, with a subsequent residency at club Club Matrixx to follow two years later. Though, it wasn’t until 1999 that Miller’s innate talents truly began to raise eyebrows. Coming out on top at the Dutch mixing contest at Dance Valley Championships, Jochen exhibited an extraordinary technique consisting of scratching, looping, and mixing across three turntables that paved the path for a radiant future. Having since earned international acclaim and changed his alias from DJ Jochen to a more sophisticated Jochen Miller in 2003, the luminary has been endorsed by some of the industry’s biggest players including Armin van Buuren, Tiësto, David Guetta and Hardwell. The 16-year-old passion of DJ Jochen is undoubtedly a vital element that composes the present-day Jochen Miller, though it is evident that regardless of alias, he has blossomed into a more cultured and innovative performer through and through. At a time where electronic dance music has become more widespread and versatile than ever before, it comes as no surprise that Jochen Miller continues to deliver an impressive array of original productions and remixes. In 2014 he signed an exclusive deal with Armada Music and released successful tracks that were highly supported by some of the biggest names in the scene. Tracks such as ‘Cubic’, ‘Bad Rule’, ‘Let Love Go’ and ‘We Back’ could all be found in the Beatport charts as well. 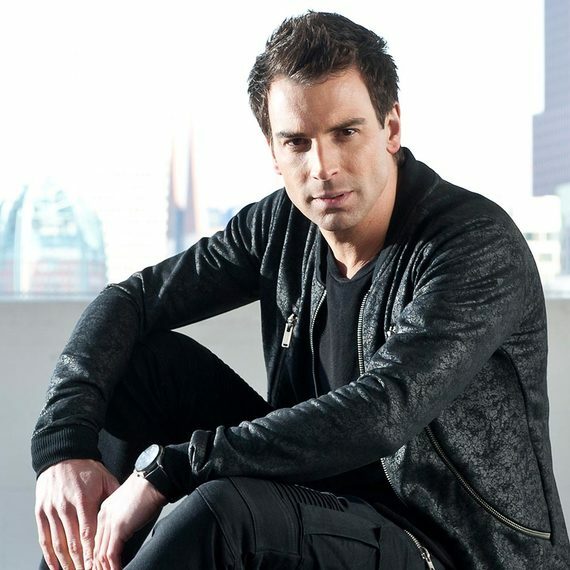 Fast forward to 2015, Jochen released his debut studio album ‘Fearless’ and collaborated with national as well as international singer/songwriters who worked with him on singles like ‘Fearless’, ‘Slow Down’, ‘A Million Pieces’, ‘Turn It Up’ and more. Aside from his own studio productions he also collaborated with Disfunktion and dropped "The Sound of Trice", a mix compilation for Armada Music. With already 6 months through 2016 it’s fully packed with releases starting with his solo track ‘VIPER’ that got chosen as the anthem for the Dutch Korfball league final where Jochen also performed. And somewhere in between touring and releasing music he made time to go back to the studio and worked with German talent Cuebrick and Indian artist Kerano. Later this year you can expect fresh new solo tracks, remixes and even more collaborations with Andrew Rayel, Orjan Nilsen, Husman. Make sure to follow Jochen Miller through his social media channels to stay up to date and Stay Connected!